Dr. Curtis Maynard has more than 30 years of experience with the treatment and prevention of injuries particularly in the field of sports chiropractic medicine. Dr. Maynard utilizes the newest diagnostic and treatment techniques at his Scottsdale chiropractic center. The wellness center works closely with the top orthopedists, neurologists and internal medicine specialists in the Phoenix area. Thousands of professional athletes from all over the country have come to Dr. Maynard for consultation and treatment for sports chiropractic needs. This includes golf professionals from the PGA, LPGA and Champions tour. Dr. Maynard has treated and developed golf specific programs for many of the top amateur golfers in the country, including three U.S. Amateur champions and two NCAA champions. The University of Oklahoma and Oregon State University golf programs have also consulted with Dr. Maynard. 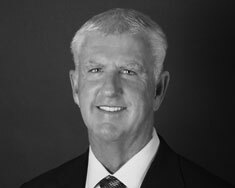 In addition to Dr. Maynard’s golf experience, he has served as the team sports chiropractor for the NFL Arizona Cardinals for the past 18 years. He also served as the team chiropractor for Arizona State University (ASU) athletics for more than 25 years, as well as Northern Arizona University (NAU) football and basketball programs for the treatment and prevention of injuries. On the baseball side, Dr. Maynard has been active with Major League Baseball’s spring training in Arizona, including work with the Milwaukee Brewers and Los Angeles Angels of Anaheim. Dr. Maynard is unique in that he thoroughly listens to the patient. Listening to what the patient is feeling is vital to the proper diagnosis and treatment plan. The opportunity to diagnose and treat world class athletes including Olympic Gold medal winners, professional basketball and baseball players, National Football Hall of Famers and Professional Golf Hall of Famers has allowed Dr. Maynard to develop a unique systematic approach to healing. This systematic approach is the secret to why so many players, colleges and professional teams have sought Dr. Maynard’s expertise. This approach works for elite athletes but also equally as well for all other patients of Dr. Maynard including Medicare patients. Maynard Chiropractic and Wellness Center accepts all major medical insurance including: Aetna, United HealthCare, Blue Cross Blue Shield and Medicare.